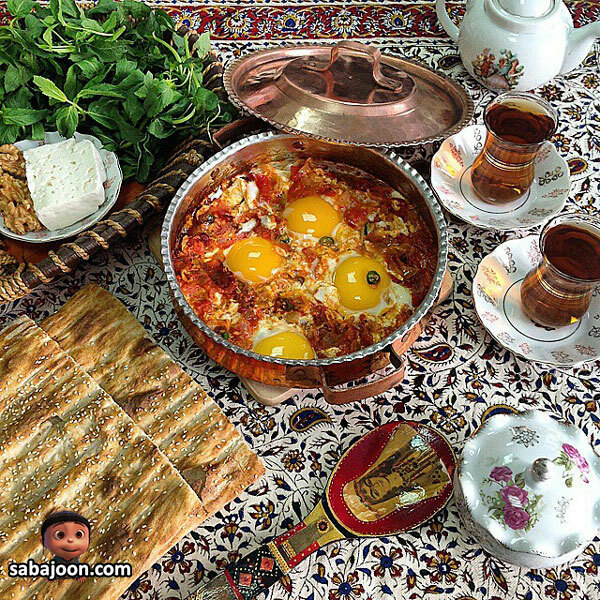 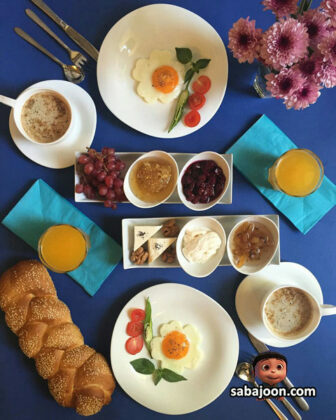 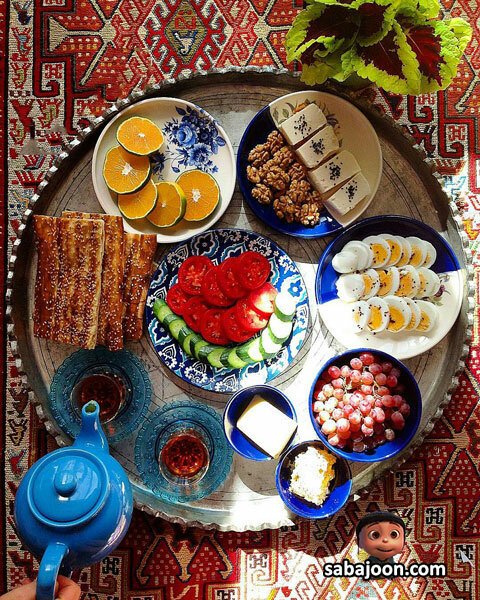 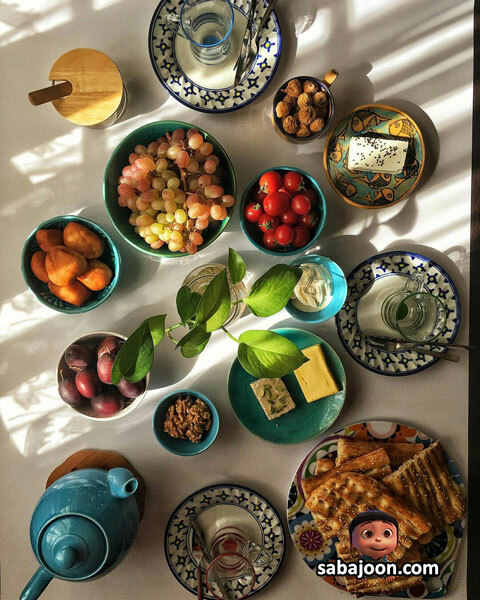 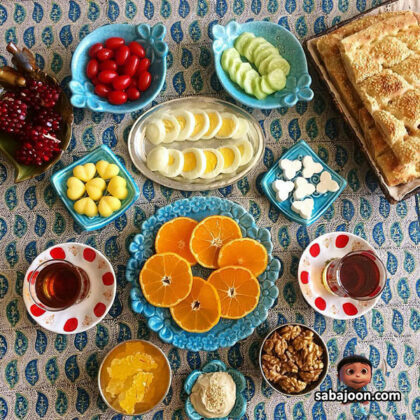 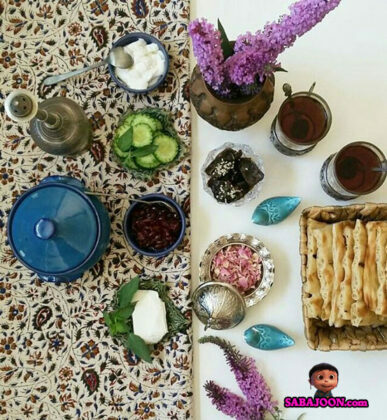 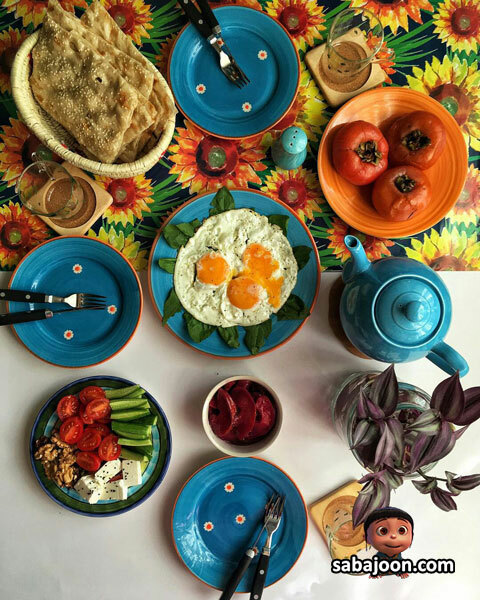 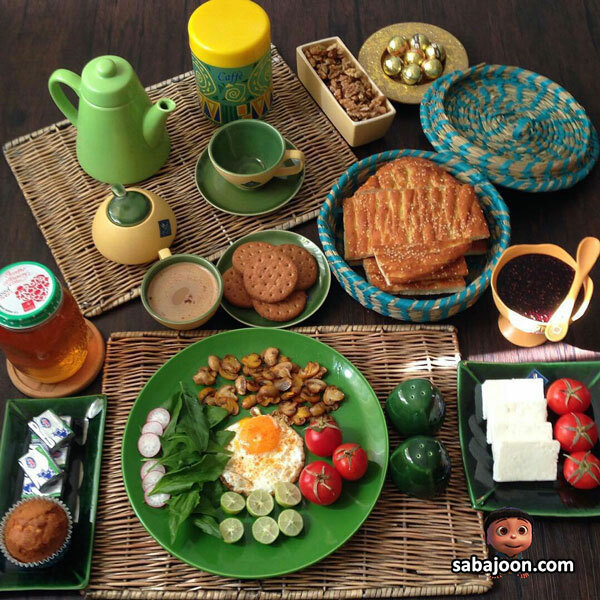 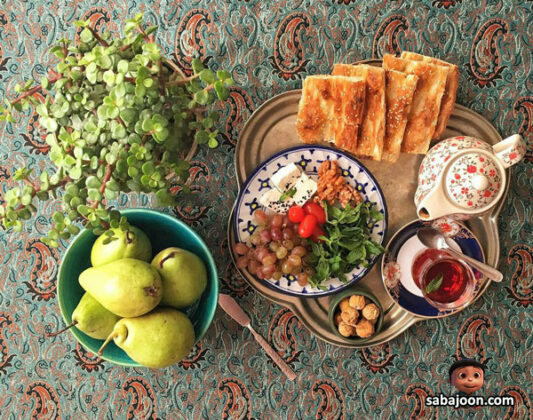 The Iranian breakfast table is a perfect and simple serving with a healthy diversity, ranging from simple bread and cheese to more complicated dishes like Kalleh Pacheh. 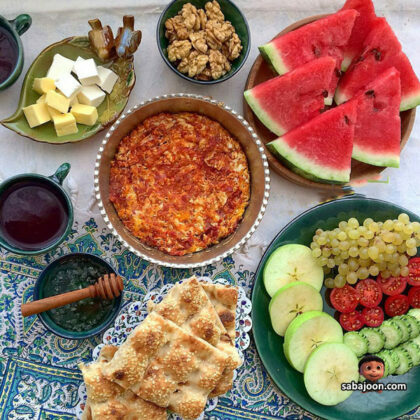 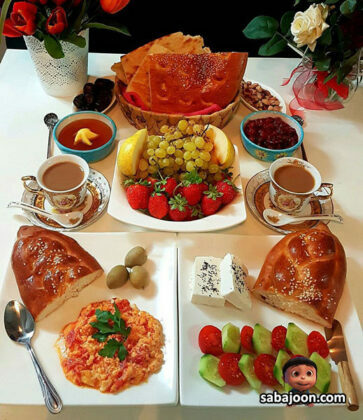 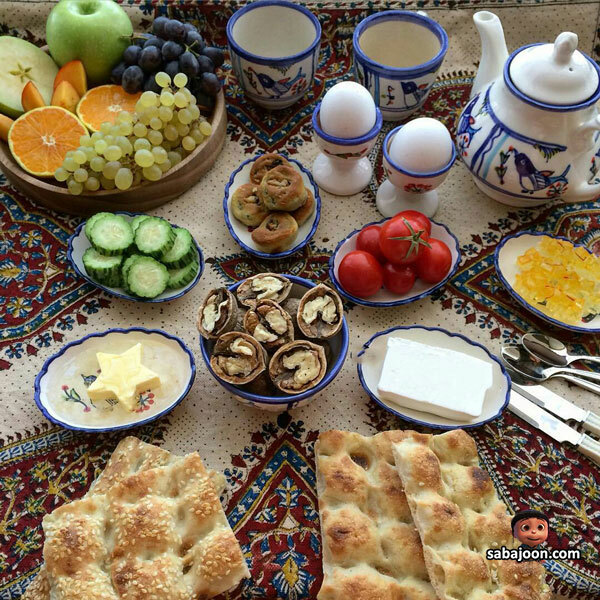 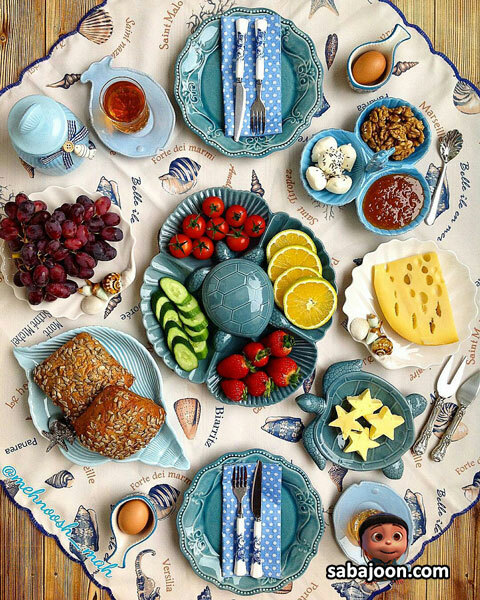 In the Iranian culture, the easiest and most ordinary breakfast is hot traditional bread with cheese and sweet tea, served with walnuts and sometimes cucumbers and tomatoes. 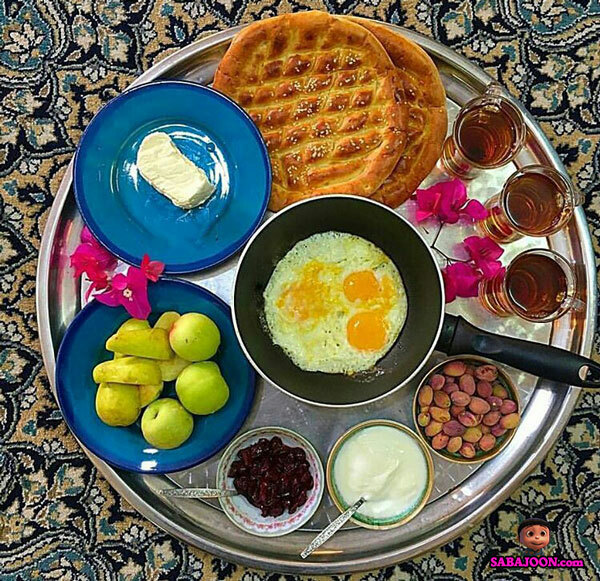 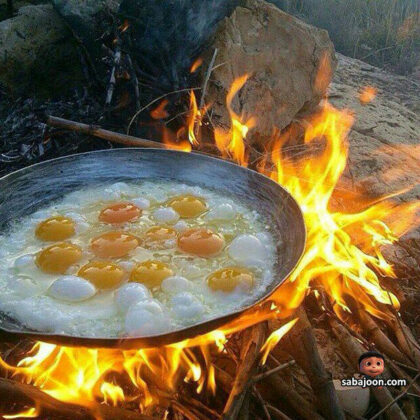 Other Iranian breakfasts include Haleem (a pudding popular in the Middle East that includes wheat or barley, meat, and sometimes lentils), Sholeh-Ghalamkar Soup (Hodge-Podge Soup), Kalleh Pacheh (a dish of boiled sheep or cow’s feet and/or head), fried eggs, omelette, butter, jams and honey, along with the most delicious Iranian breads like Sangak, Barbari, Taftoon, and Lavash. 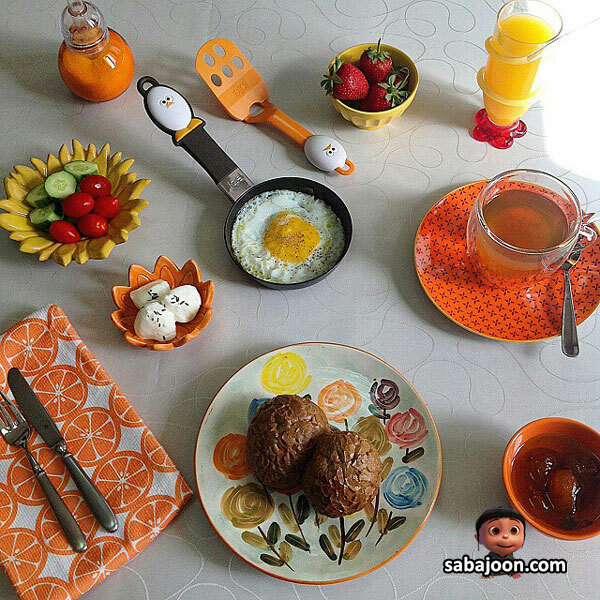 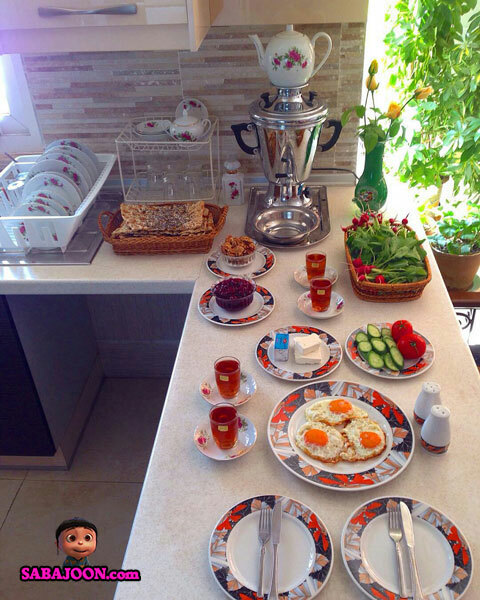 One-fifth of the daily energy intake should be provided by eating breakfast. 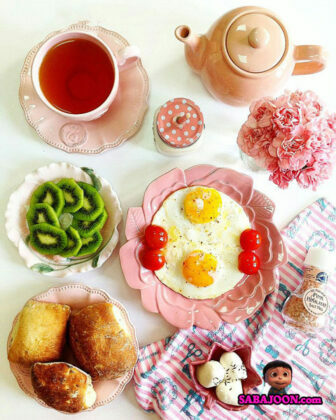 It is best to include several different food groups in your breakfast. Milk, cheese, eggs, lentils soup and even nuts are protein sources, while bread, cereals, fruits, vegetables, honey and jams are sources of complex and simple carbohydrates. Of course, sugar and fats (such as jam, butter and cream) should be consumed at a low level.